February is Black History Month, therefore we will be taking a look throughout the month at famous African- American Clevelanders. We start with Jesse Owens. Born James Cleveland Owens, he moved from Alabama to Cleveland in his youth with his family as part of the Great Migration north for many African-Americans. 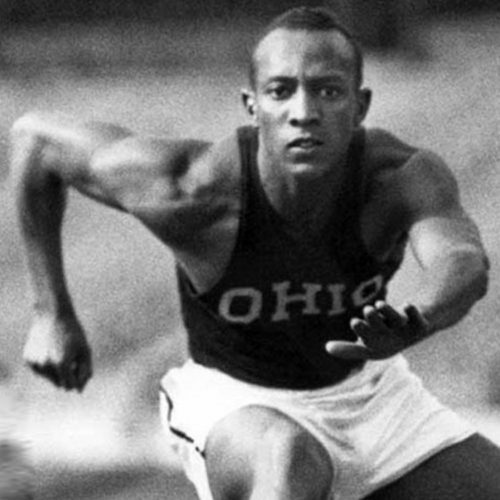 Jesse Owens was a star athlete in high school here in Cleveland, attended the Ohio State University and of course went on to win four gold medals in Berlin in the 1936 Olympics. His wins challenged the racial theories of the Third Reich and embarrassed Hitler. Owens became a national hero, getting a victory parade upon his return to Cleveland. Things were not always easy for Owens though, racial bias still existed in Cleveland. Despite his fame, he bounced around from job to job. He eventually died in Tuscon at age 66 from lung cancer. 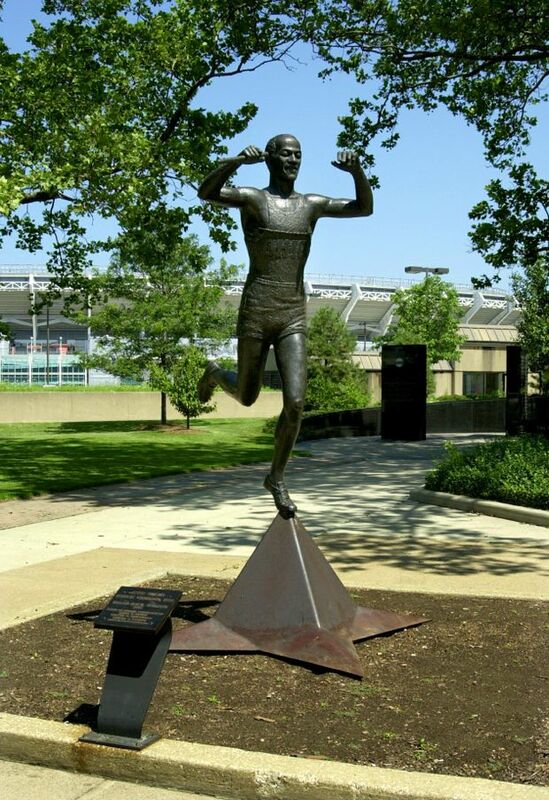 He is still one of Cleveland’s greatest and most recognized heroes! There is a statue of him in Fort Huntington Park downtown.